Alain Lamassoure, leader of the right-wing ‘Les Républicains’ delegation in the European Parliament, announced his resignation from the party on Tuesday evening (24 October), citing “a painful race to the most conservative right” after the party decided to exclude the Prime minister, Edouard Philippe, from its ranks. 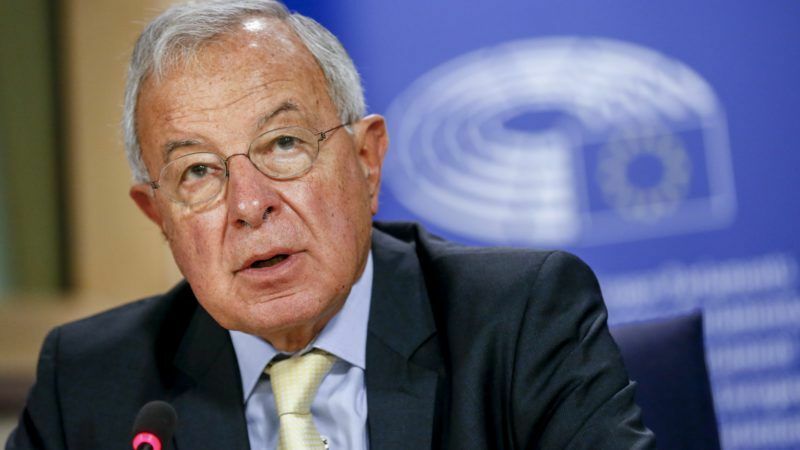 Lamassoure, a former Europe minister, is a veteran politician and leader of the French delegation of the European People’s Party (EPP), the largest political group in the European Parliament. “Why I’m quitting LR: After losing an election it couldn’t lose, LR excludes the PM who carried out the reforms LR and its voters dreamed of,” Lamassoure said on Twitter. Pourquoi je quitte LR : Après la perte d'une élection imperdable, LR exclut le PM qui fait les réformes dont LR et ses électeurs rêvaient. In a bitter statement, Lamassoure chastised Les Républicains for managing to lose a presidential election that looked a foregone conclusion before frontrunner François Fillon crashed in the opinion polls following a scandal involving taxpayer-funded payments to his wife. Les Républicains then lost a parliamentary election against the centrist party La République en Marche, “that did not exist three months ago”, Lamassoure remarked. Despite this, the party succeeded to get one of its members appointed as Prime Minister, “with a roadmap largely inspired by the LR programme”, Lamassoure continued, citing the reform of the labour code. “The pessimists will observe that, deprived of any political compass, LR takes refuge in a painful race to the most conservative right” instead of returning to the party’s “founding values” ​​such as “the social market economy, humanism, and Europe”, Lamassoure said. “Does LR fear the government’s failure, or its success?” he wonders. However, he said that on this issue, “such a degree of humour goes beyond my own Gascon joviality”. “Today, I am leaving LR because I wish for the success of the recovery of France and Europe engaged since the spring”.